PC gaming peripherals firm Razer has confirmed that it's working on a much-rumoured mobile device targeted at the games market. Speaking to CNBC, Razer CEO Min-Liang Tan said it aimed to have the device released “by the end of the year”. Tan has previously touted the “huge opportunity to disrupt the mobile market”, with an opportunity to target the games market where he feels manufacturers aren’t fulfilling the needs of the audience. 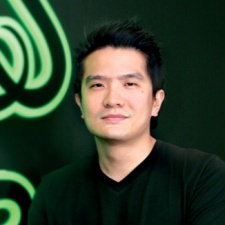 Razer has already made a number of moves in the mobile space. It has formed a partnership with mobile telecoms and internet service provider Three to offer tariff plans, services and devices to gamers around the world. The two companies are also set to work together on Razer’s new mobile devices. Other notable acquisitions by Razer include smartphone manufacturer Nextbit and Android console Ouya. In his interview with CNBC, Tan also touched upon the company’s plans to go public. It was previously rumoured the firm would look to raise at least $600 million through its flotation. "We would love to have that war chest to allow us to invest in R&D,” said Tan. “We are known to have disrupted many industries: We're the first in the gaming peripherals side of things, we were first when we invented the first true gaming laptop, we've gone on to provide one of the largest software platforms for gamers.